The ongoing drama of 38 Studios’ dissolution continued on Tuesday as studio founder Curt Schilling spoke to the press about his company’s woes. The former Boston Red Socks pitcher claims that the closure of the Kingdoms of Amalur studio could cost him as much as $50 million of his personal fortune. After weeks of silence as news of 38 Studios’ financial troubles began to pile up, Schilling spoke with The Providence Journal on Tuesday. Schilling pointed the finger at Governor Lincoln Chaffee of Rhode Island for irrevocably damaging 38 Studios with his “devastating” public remarks about the company’s health, a move he claims ran off private investors that could have rescued the company. 38 Studios laid off its entire staff on Thursday, removing every employee from both its primary office in Rhode Island and at its subsidiary Big Huge Games in Maryland. Polygon reported on Friday that unemployment was just the beginning of bad news for the former studio members. A number of unnamed employees that were relocated to Rhode Island with the studio in 2010 were told that 38 Studios had sold their homes in Massachusetts on their behalf. Banks inquiring after unpaid mortgages contacted these employees last week. An unnamed 38 Studios official later said that the company is working on the issue. It’s just one more financial quagmire for the company that spent 6 years after its founding working on a massively multiplayer online role-playing game called “Project Copernicus” that never fully materialized. 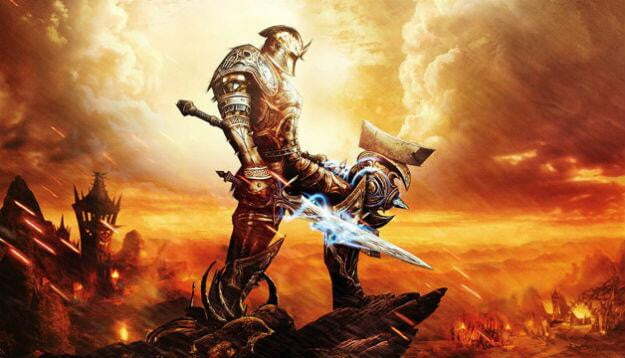 Its one release, Kingdoms of Amalur: Reckoning, was actually a wholly separate game developed by Big Huge Games and The Elder Scrolls IV: Oblivion director Ken Rolston that 38 Studios took over after acquiring Big Huge in 2009. The core of 38 Studios’ problems was a loan of $75 million in tax-payer bonds paid to the studio by the Rhode Island Development Corporation for moving the studio to the state and creating jobs. 38 Studios was meant to make an initial payment of $1.12 million on that on May 1, but failed to do so until May 18. Schilling said on Tuesday that 38 Studios failed to make that initial payment as an attempt to pay its employees but Rhode Island refused to let the studio defer the payment, leading to its closure. Schilling also claims that Rhode Island failed to fulfill a deal made with state officials to acquire film tax credits for 38 Studios, adding to the costs that are sinking the studio as an entity. While Schilling’s accusations may be true, it’s also apparent that he mishandled money. When the $75 million loan was paid to 38 Studios, Schilling used $4 million of the state funds to repay his own $4 million investment in the company.